Bad-mouthing the dental practice has one critical caveat. In general, you can discipline your staff for social media comments if they are slanderous (defamation) or engaging in prohibited conduct(s), such as discriminatory/harassing, threatening, and/or menacing language. With that being said, the National Labor Relations Act (NLRA) gives employees the right to engage in protected concerted activity. 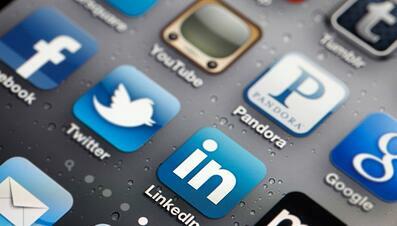 Employers who discipline workers for their social media activity may run afoul of the NLRA. Protected concerted activity gives employees the right to act together to try to improve their pay and working conditions, with or without a union. If employees are fired, suspended, or otherwise penalized for taking part in protected group activity, this could be misconstrued as retaliation and result in lawsuits. In short, if an employee’s postings are related to concerted activity, such as questioning or complaining about wages, safety concerns, working conditions, and/or labor laws, they are protected. It is very important that you speak with an HR specialist or labor law attorney to ensure you are not inadvertently disciplining your staff for engaging in protected activity. Similar to bad-mouthing coworkers, bad-mouthing patients is a violating offense. In fact, bad-mouthing patients can be even more serious because the information divulged could be considered a violation of privacy or even worse, a HIPAA violation. Additionally, this could be considered harassment, which ultimately translates to unacceptable customer service. Sharing trade secrets or sensitive business information can create financial damage to the company and result in a loss of competitive advantage, and can. However, occasionally employees may not understand the damage that they are doing when they share the dental practice’s trade secrets in a specialized industry. Best practice would be to implement a concise trade secrets or non-disclosure policy to ensure all employees are aware of unacceptable behavior, and support terminations related to social media posts that forfeit trade secrets. Additionally, reviewing scenarios during orientation may help employees to understand why these actions are unacceptable. Nothing protects hate speech. Employees are representatives of the workplace—even when they are off duty. Off-duty postings, comments or statements that are insensitive, racist, condemning of a certain religion or political view, or otherwise in bad taste, reflect poorly on the workplace and may necessitate terminating an employee. Since employees may have differing ideas and opinions regarding what is distasteful, it may be helpful to create specific guidelines for employees to follow. When employees condone or encourage violence in any way, even when sarcastic or satirical in nature, it must be met with a serious response. Additionally, your employee handbook should address violence in the workplace. Employees should be warned that expressing anything other than sympathy or empathy in regards to a violent situation might be cause for termination. Educating employees on acceptable social media practices can often help to prevent future headaches. For all the reasons above, it is imperative you draft a detailed social media policy. Employees need to understand the expectations you have as their employer and know that they are accountable for their actions when discussing the business and its affiliates on social media. Additionally, it is imperative you outline that the company is in no way discouraging or disciplining staff members that engage in protected concerted action. You may be surprised how many times we find the employer engaging in the same acts they want to prohibit with their team. You must lead by example. If you do not want your employees to vent on social media, neither should you. Keep in mind that you set the tone of your company’s culture. When you discover a posting because you are already “friends” with someone, it could encroach the line of “monitoring” and complicates the options you have when handling the situation. You must consider how you discovered a posting. Did you seek out postings or pressure your staff to add you on social media—or initiate “adding” someone to your social media? Did another employee inform you? These questions are important because they will influence how a posting is addressed. In short, it is easier to discipline if a posting comes to your attention from a fellow employee or patient because it involves other parties who felt uncomfortable. When you discover a posting because you are already connected with someone, it begins to encroach the line of “monitoring” and complicates the situation. Many issues stem from an employees’ frustrations of feeling that they don’t have a voice. Similar to leading by example, you must work in good faith to address and document all issues. By getting to the root of a problem you illustrate your good faith efforts—and due diligence—to solve possible workplace issues that could escalate to legal claims in the future. If they are not justifiable complaints, but simply the employee feeling unhappy, they will be more receptive as to why they are being disciplined and have a better understanding as to what is appropriate moving forward. Inadvertently discriminating against a staff member or class of employees and disciplining your staff for engaging in protected action are of considerable concern so it is important that you speak with an HR Specialist or labor law attorney to assist with these high-risk situations. It is also important to note that many states have differing specifications of what is protected on social media. In addition to the limitations under federal law, mostly imposed under the broad Electronic Communications Privacy Act, several states have enacted their own statutes regarding social media. Although many state statutes prohibit an employer from requiring or requesting employees to disclose usernames and login information, it is still safest to consult an HR professional to evaluate if you have crossed any invisible lines you may not be aware of.